So if you don’t follow me on facebook you might have thought that I had disappeared completely, and even if you did you might have thought I’d run off with the faeries. But you’d be wrong, though the faeries did make a tempting offer! I’ve been busy preparing costumes for this year’s 3 Wishes Faery fest; getting swept away with all the fun at the faery fest; trying to recover from our faery adventure and making 40m of bunting for a very good cause. Oh and of course I’ve been glued to The Sewing Bee too. 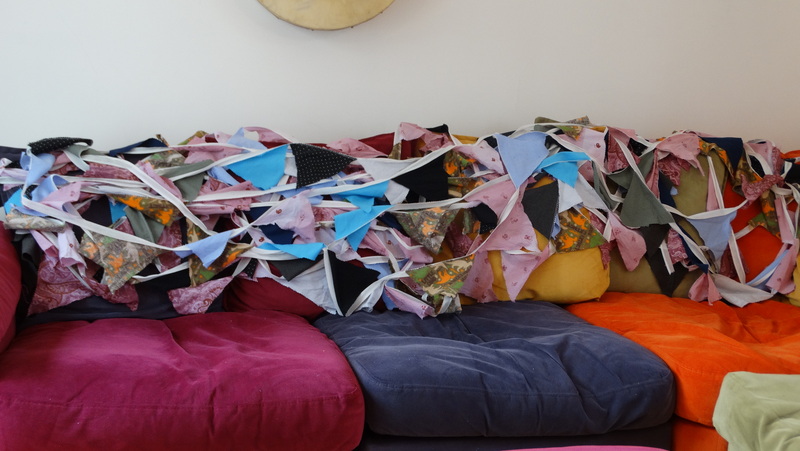 More on most of that another day, this blog is about my bunting making. As you might have guessed we’ve become rather fond of attending a few little festivals and the more you go the more you get used to seeing the same faces about. One of these is the Gypsy Pyksy group of circus and theatre entertainers, they’ve run circus skills workshops at a few festivals we’ve been to now and our kids just love spending time learning skills and playing games with them. Unfortunately they’ve had a pretty bad start the the summer with all of their kit being stolen. The group leader Jay was obviously devastated by this and a Crowdfunder appeal was started to help get them back on their feet. On top of this a few people through Facebook contacted Jay directly and asked what other things they could do. 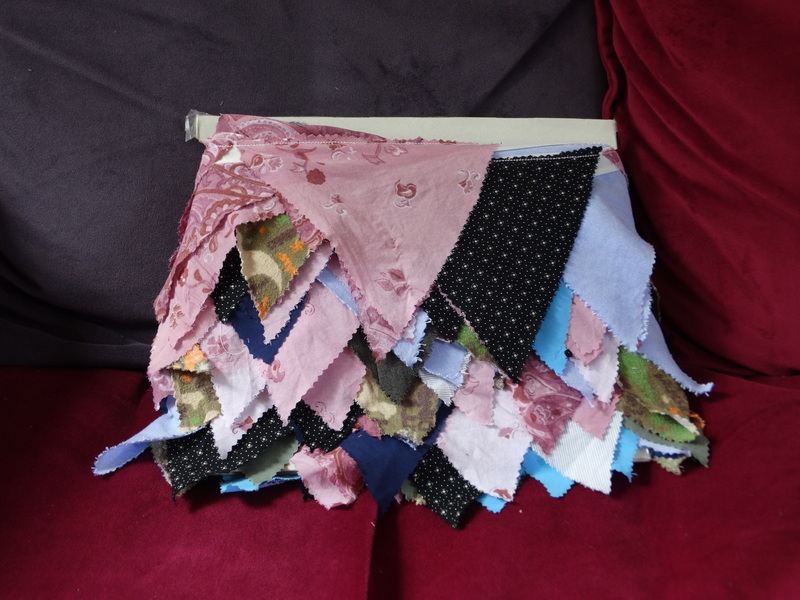 Obviously I offered to make something and the obvious thing was to make ‘some’ bunting, I’d seen they had lost 50m of bunting so that was a good target for me to go for. 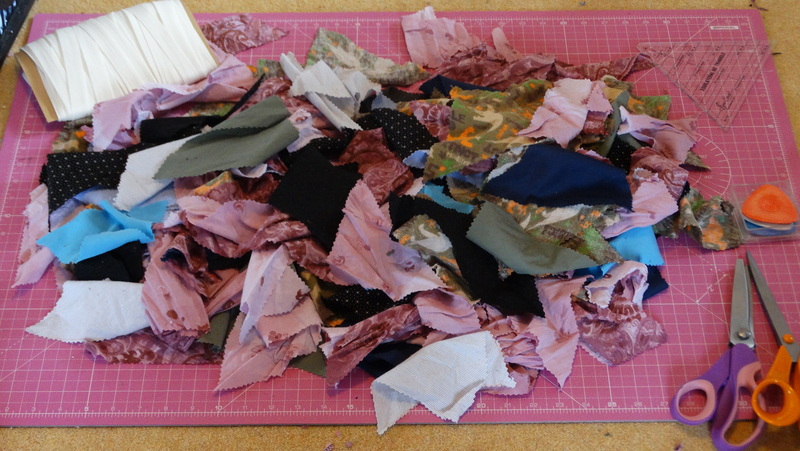 I sat down with my upcycling pile of fabrics and sifted through for things to use: Mainly things that wouldn’t curl, I threw them in a crate and started cutting triangles. And then I cut a lot more! As these are meant for festivals and used outside I decided not to finish the edges but just cut them pining shears which should give plenty of life before they start fraying and even more before that looks bad. 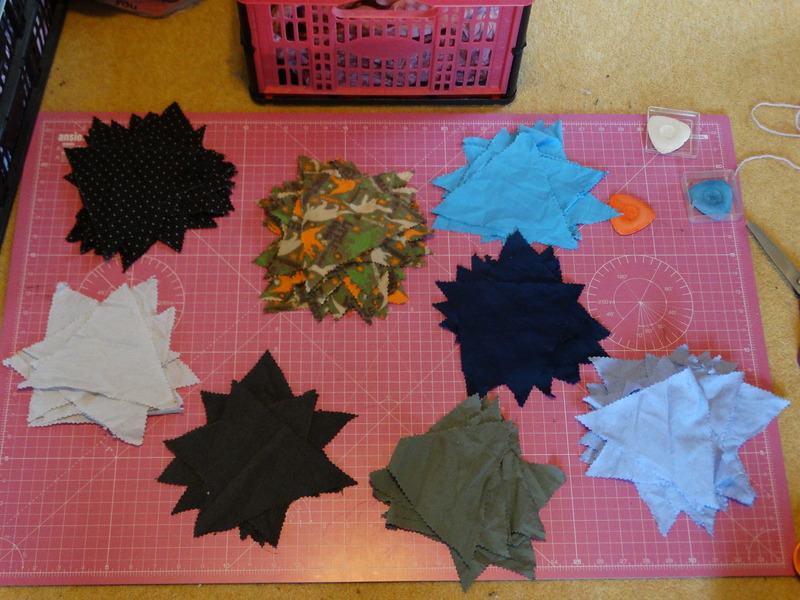 I ended up with 218 triangles (cut with my trusty template) to go with my big roll of binding to sew it all to. None of it took too long to do, but as always there are little things that get in the way of finding time to sit behind the machine and just keep sewing. But I finished eventually, with a total of 40m of upcycled festival bunting.